I met Fritz at his home in Cape Town earlier this year. Fritz has a remarkable history in South African aviation. He kindly agreed to be video interviewed and also allowed me to copy his war photographs and flying log book. All of these are presented on this website. Wilfred A. Theodore Johl started civilian flying lessons in 1938 at Cape Town and obtained his civil license in 1939. 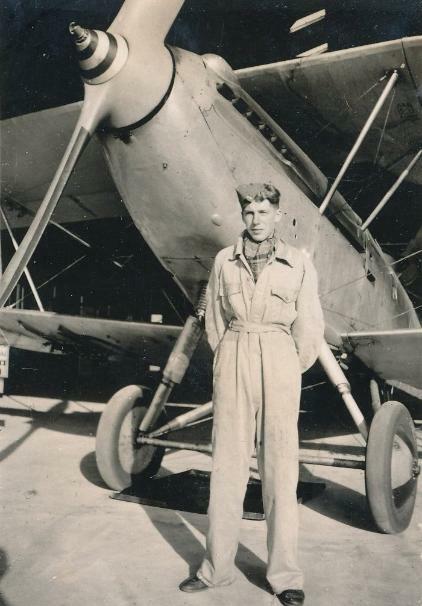 He then joined the SAAF and completed his elementary flying at Bloemfontein and Service flying training at Roberts Heights (Swartkops) where he then got his wings in early 1940. For the next three years Fritz was involved with pupil pilot training on service aircraft within various locations in South Africa, he also qualified as a navigation instructor. Fritz went "Up North" in late 1943 and served with SAAF No. 2 fighter squadron in Italy until mid 1944. During this operational tour Fritz flew Spitfires on mainly ground strafing- and dive bombing missions. 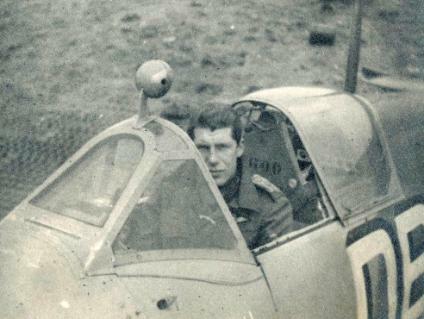 Returning to South Africa, Fritz resumed pilot training duties until his resignation from the SAAF in 1951. In this time he attended advanced courses in England and was a key member in reconstructing the future SAAF training programmes. He was very much involved with aerobatics and flew on numerous formation aerobatic displays all over SA and in neighbour countries. After the military Fritz had a successful career of 30 years as secretary and director of mining companies in South West Africa until he finally retired in 1986. During this time and until today Fritz maintained active involvement with aircraft design and development especially in the field of gliders. This is a living web site. 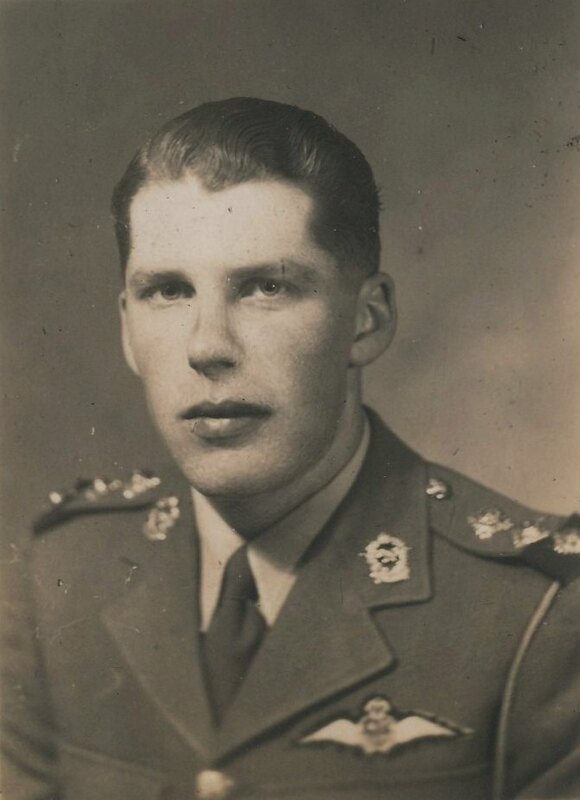 Any input and/or participation will be much appreciated regarding additional information, correctness, information from relatives of members who served with Fritz in some of his units, photographs, stories etc. Please e-mail me. Most welcome will be any photographs of No. 2 squadron while Fritz was with them. 02/12/1943 Joined No. 2 squadron, Italy, operational flying. 23/01/1943 No. 2 Squadron, Italy, operational flying. 04/12/1945 RAF Bramcote UK and ECFS Hullavington UK; did advance courses. 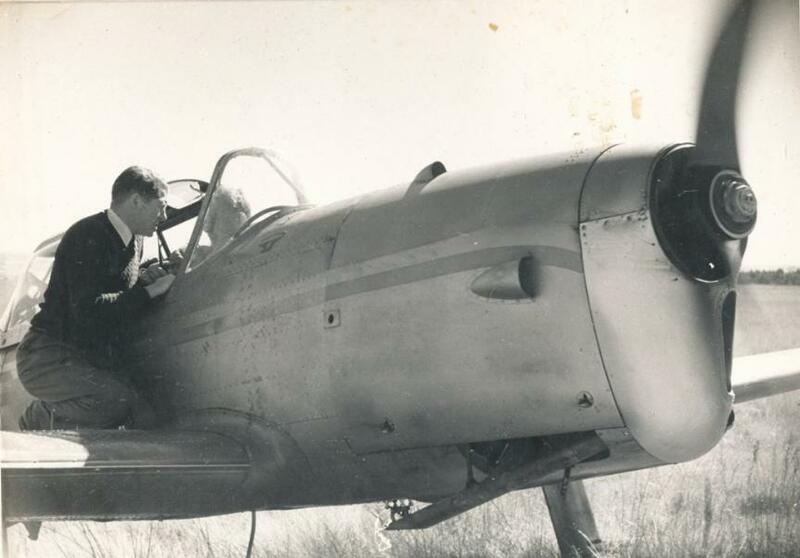 25/06/1946 Flight Instructor at various units within South Africa, aerobatic flying, involved with SAAF future instructor course development, etc. · Logged 8917 hours of flying with more than 5000 hours pupil instruction, not a single flying accident. · Due to his German decent Fritz joined the Cape Town branch of the German boys scouts "Hitler Jugend" as a 13 year old and received an award directly from Adm. Doenitz when the German cruiser " Emden" visited Cape Town in 1934. 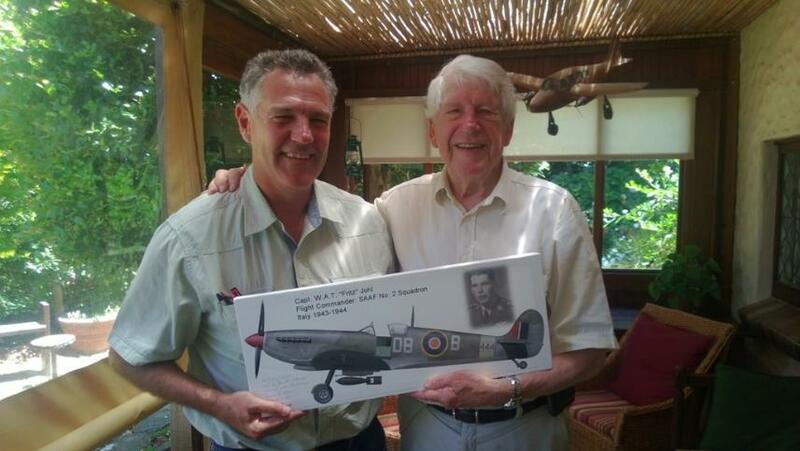 · Won the RAF "Clarkson Aerobatic Trophy " competition in England 1945 together with the SAAF ww2 ace Ken Driver. This trophy is still being awarded annually. 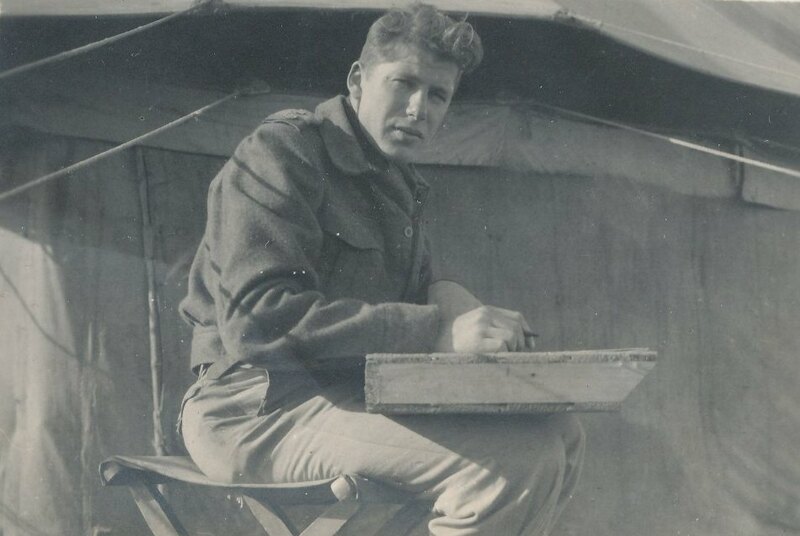 · Obtained the highest score ever at the RAF advance gunnery school at El Ballah, Egypt, 1944. · Founder member of the post-war SAAF Harvard Formation Aerobatic Team. · Completed 180 sorties on formation aerobatics and air displays. · Designed the world's first variable geometry sailplanes that set up world records. (Built by his partner Pat Beatty) Nationally and internationally recognized with awards for this achievement. · Built a 14 meter steel-hulled yacht that was sailed by Fritz for 2 years. · Elected for two terms as town councillor of Swakopmund and served as chairman of the executive. · Chairman of the SWA/Namibia Western Regional Development Advisory Committee appointed by the SA minister of planning. · Elected as "Fellow of the Royal Aeronautical Society" in 2005. · Elected into the "Guild of Air Pilots and Air Navigators" as Upper Freeman in 2009. · January 2012: Latest paper of Fritz being published in the Royal Aeronautical Journal titled "A further case for variable geometry"
Fritz with one of his model planes that he built when he was at school 1937. Fritz designed various revolutionary high speed gliders and one design broke a world speed record.